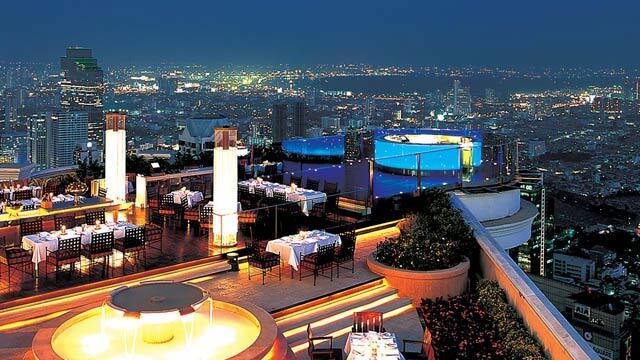 Sirocco Bangkok is considered one of the best rooftop restaurants in Bangkok and even in the world. 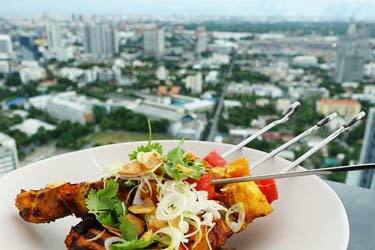 From the Sirocco bar Bangkok and the kitchen you can order great food at an unbeatable 360-degree view all over Bangkok. 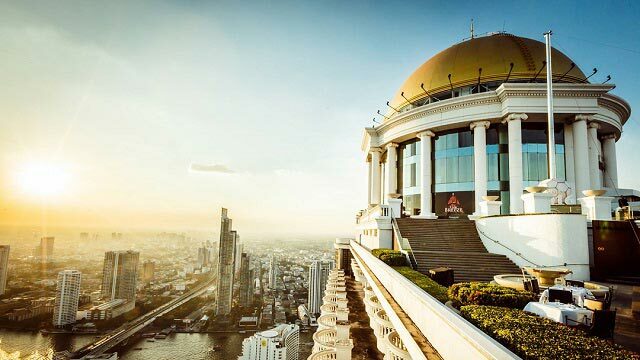 Sirocco is the restaurant part of the famous 63rd floor at Lebua State Tower, well known from the movie "Hangover II", and sharing this space with the rooftop bar Sky Bar. 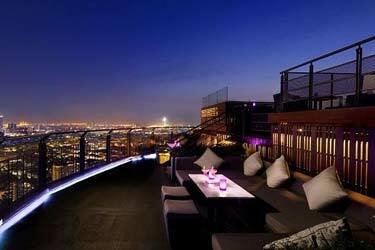 Together they often go under the name "Sirocco Sky Bar Bangkok". 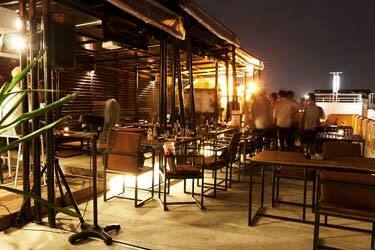 And one floor up you also find the rooftop bars Distil and Alfresco 64, and many would argue that together they create one of the best rooftop experiences in the world. 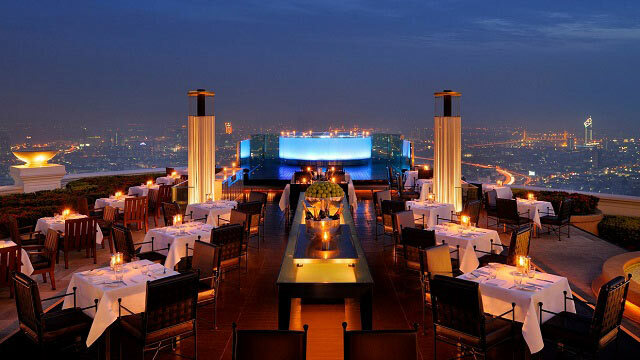 At Sirocco you can enjoy authentic Mediterranean cuisine along with a wide selection of wines. 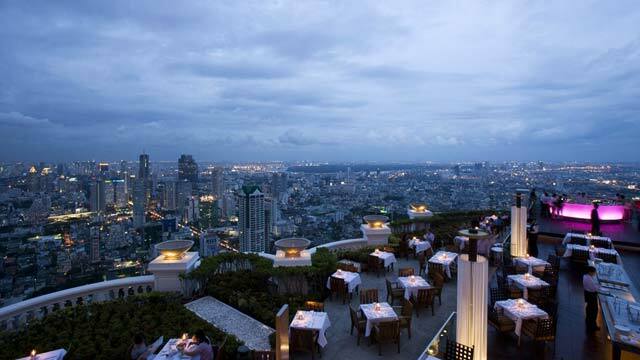 The two only downsides with Bangkok Sirocco might be that the price tag is quite hefty and, because of its reputation and popularity, there is always a lot of people here. 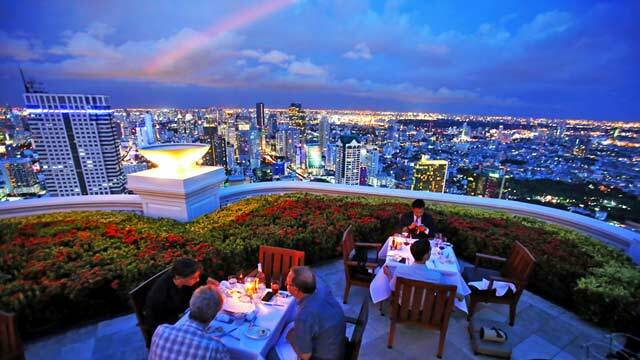 Make your reservation for a table well in advance and say a little prayer that it is not one of the busiest days. 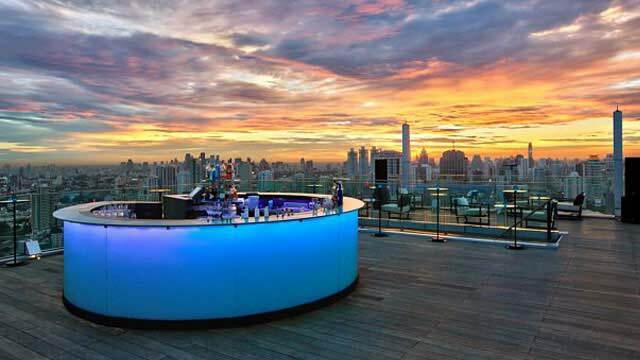 What is the dress code at Sirocco? 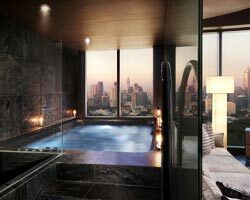 The Sirocco dress code is smart and elegant. No sleeveless shirts, swim wear, shorts, flip flops oversized bags etc. Dress for success! 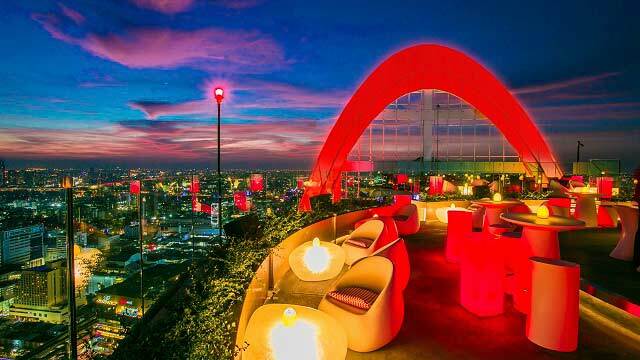 Sirocco is close to a must to check of the rooftop bucket list, and with amazing views and fancy food it is a rooftop bar in Bangkok well worth a visit on this list. 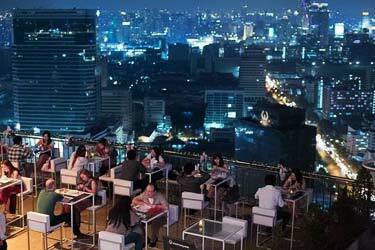 Many people spell their name Scirrocco Bangkok or Shirocco Bangkok, but its all the same rooftop.